Saudi Arabia’s General Directorate of Passports will for the first time recruit women, the latest move in a wave of changes in the kingdom. The announcement follows Saudi Arabia’s historical decision to allow women to drive next June and allowing them to enter previously male-only sports stadiums. 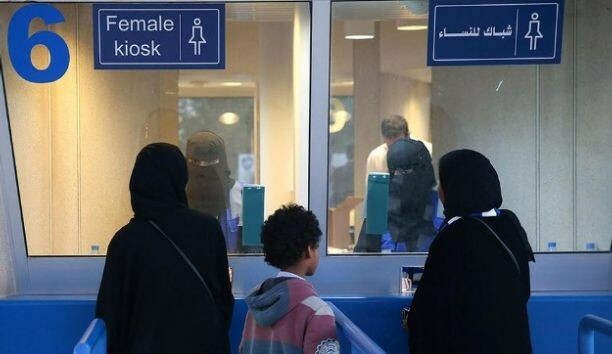 “The Saudi General Directorate of Passports is looking to recruit women for the first time to work in airports and land border-crossing points in the kingdom, and carry a military rank,” said the ministry of culture and information in a statement on Wednesday. “Applicants must be born and raised in Saudi Arabia and be between 25 and 35 years old. It added that all applicants must hold a high school diploma or equivalent. The change come as Crown Prince Mohammed bin Salman rolls out his “Vision 2030” plan for economic and social reforms, which aims to increase women’s participation to 30 per cent from about 22 per cent now. The young crown prince aims to shed the kingdom’s ultra-conservative image and reduce dependence on oil revenues.